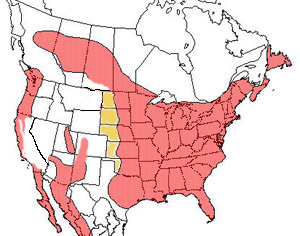 Purple martin range map, range broadens during migration. In Connecticut look for scouts to start arriving in mid-April. 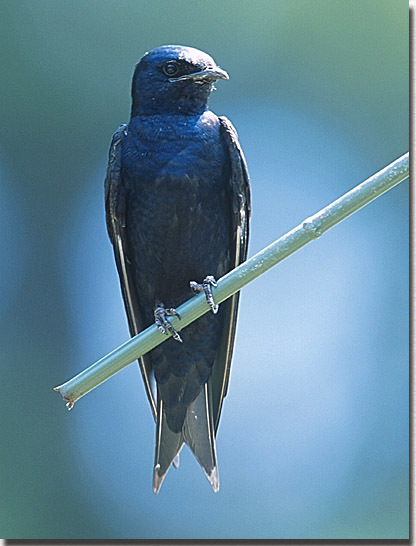 Martins move north as the weather warms and insect populations start to increase.